They are beautiful to look at aren't they. 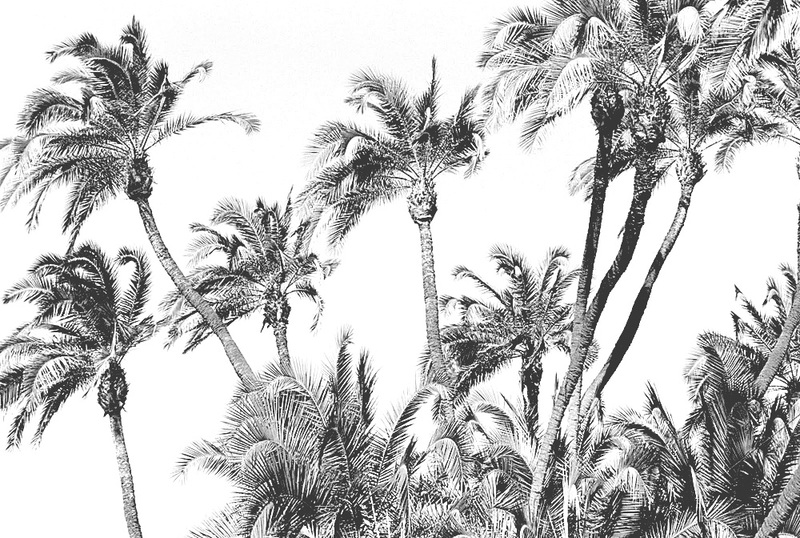 -The first time I saw a palm tree was in 1991. I was a High School senior on a choir trip to San Jose, California. We drove all night in a cramped bus and got to the hotel at 3AM. At 6AM I was exploring the area alone on foot. The hotel was next to the freeway. I walked along the freeway, right down the entrance and along the fenceline on the shoulder. The smells, humidity and traffic noise were all new, and thrilling to me. -Palm trees are the world’s ambassador of fun and relaxation. If you are a logo designer and you want to say “exotic and relaxed fun” use an image of a palm tree. Think of Tommy Bahama. 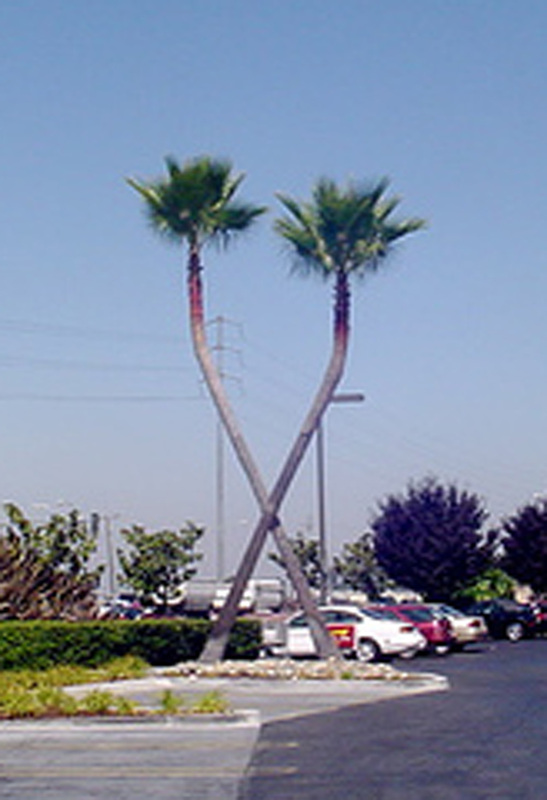 -Every In-n-out burger has two crossed palm trees in an “X” outside the store. -They’re photogenic. I have hundreds of photographs of them in my archives. The above photograph of palms is not on an exotic island. It’s at Disneyland. They might be plastic. I can’t remember.